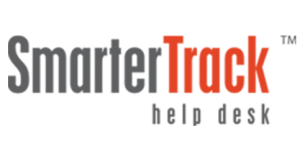 SmarterTrack is an online help desk that allows you to improve customer service while better utilizing employees and lowering your overall support costs. Deliver unparalleled customer care using an email ticketing system, live chat and VoIP integration. Plus, SmarterTrack has a self service portal that includes a complete knowledge base and an online community for user-to-user interaction.A powerful online help desk for initiating, tracking, managing and reporting customer service issues across a number of different communication channels, including email tickets, live chats, phone calls, community posts and more.